Being a musician is a lot of hard work – whether you are just trying to make a name for yourself, or have already reached a crowd of fans. Here are a few self-care tips to make it a little easier! While this should be obvious to everyone – not just musicians – it’s something that many people do not do. Often, we ignore signals from our body like headaches, fatigue, and general unpleasantness because we have things to do and places to be. Tune into yourself every once in a while, and do a basic wellness check. You can incorporate this into your daily routine by setting aside time in your schedule to meditate on how your body is feeling. Start with your head and work your way down; this will also give your mind a chance to connect with your body. If your body says “I need to sleep,” don’t ignore it! Make time to rest. Many people think they can get by on less than average sleep, especially musicians who sing or play late into the night and then get up to work or go to school. If you can find a way to give yourself a full night’s sleep – do it. And if you can’t, make time for a nap. Ten minutes will do your body good, but anything more than 30 minutes can cause problems. The Mayo Clinic has some advice for healthy nap hygiene here. Singers can often be blindsided by sickness or hoarseness, but still feel the need to perform anyway. If you are rigorously practicing or playing shows each night for a prolonged period of time, picking up a bottle of throat spray from Whole Foods or a drug store can be a lifesaver. There are many recipes out there, so purchase one that is closest to your taste. You can find them online, too, if you want to research before buying. And if you are more comfortable with a warm cup of tea, add some honey and lemon to help soothe any throat aches. No matter how busy you are, try to steal away some time in your day (or week, if you that’s more manageable) for exercise. Keeping your body strong and healthy can ward off sickness and boost your staying power during performances and practices. Yoga is a calming work out that focuses on both the mind and body thus making it perfect for artistic, creative musicians. Eating healthy, whole foods can do just as much good as exercise – and is far tastier. Concentrate on avoiding fast food and highly-processed, sugary food. If you can add more grains, vegetables, and good protein to each meal you will thank yourself in the long run. And as for snacks, prepare your own instead of buying processed, pre-packaged foods. Cut up and Ziploc vegetables, chunks of cheese, nuts, and fruits instead of breaking open a bag of chips. Figure out what causes you stress, and then develop a strategy to either avoid that trigger or to deal with your stress appropriately. In the music world, stress can wreak havoc on your live performance and your ability to wield your instrument, whether it’s a guitar or your voice. When you are busy dwelling on something that stresses you out, you aren’t focused – and it will show. If a person causes you stress, avoid them or talk to them about their behavior. Whether you are a rock star in the making, or a lowly apprentice to that rock star, you need to value yourself. Make time for self-care, don’t say negative things about yourself in your own head, and don’t give in to self-deprecation (even if others think it’s funny). Treat yourself like you would a friend. Make it okay to give yourself pep talks, presents, or treats. If you don’t value yourself, it shows. 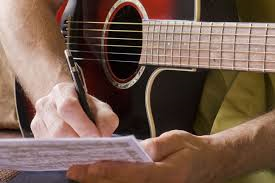 Writing a song is an important step towards becoming a music artist. It’s also pretty hard! Writing isn’t everyone’s strong point but, as with most talents, you can build your skill with practice. Sometimes it takes writing a dozen songs to find one that really speaks to your personality and has the potential to communicate with others. Here are some steps to take in order to begin your songwriting process. 1. Get In The Right Headspace! Writing a song is not a technical thing. It’s creative, and you can’t force creativity. 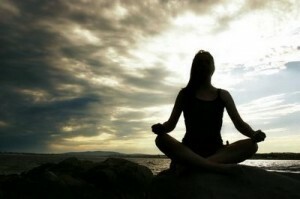 Clear your mind before you pick up your pen and paper, voice recorder, or laptop. Cultivate a sense of creative calm by doing whatever you do to relax: yoga, drinking a cup of tea, going for a run, or listening to some music you really love. Most songs are written from one of two perspectives: that of the writer, or that of a character. Some songs are more complex, but for a beginning writer you can stick to one of the above perspectives. Many, if not most, artists choose to write what they know – things or feelings that are entwined with their daily life. Think confessional pop songs from Taylor Swift, Pink, or Gotye. Artists who write from a character’s perspective vary from the highly artistic, such as Kate Bush, to the classically fun, like Jim Croce. It’s also possible to combine the styles to portray your own interests and feelings thinly veiled through a character, or to write about age old literary motifs and common themes. Words can sometimes gather their own energy, especially when placed in the right sequence and sung with the right tone or inflection. Eminem is a master of such wordplay. Pick a few key phrases that sound good to you, words that catch your interest. Figure out how to use these words in a way that will spark the interest of others. Pick the main sound for the song – pop, guitar-based, country etc. It’s a good idea to stick to a sound you really enjoy and listen to often, so that you’ll already be familiar and comfortable with the genre. Don’t pick a style simply because it is popular. You need to love the work you do – or at least like it enough to keep doing it! If you can play an instrument, try to flesh the song out yourself. If not, consider working with someone who does. Ask friends and family if they might be able to help you out with some piano or guitar in order to get your basic song worked out. It never hurts to have another set of ears to work on your song, either. Record an early version and listen to it as if you were a third party. You can ask yourself, “would I turn the station if this song came on the radio?” Don’t be overly critical – we often hear only the bad when we evaluate our own work. Share with a friend or two for more feedback. Songwriting is not easy, but it is rewarding. Like any muscle, your songwriting will get stronger the more you use it. After going through these steps you may decide you need to go back to the beginning – or you may realize you have something you really like on your hands.